I couldn’t resist the puerile wordplay in the title. It must be the blizzard that’s covering New York City taking me back to my youth…A new recording by His Majestys Sagbutts & Cornetts (HMSC) with the Purcell Quartet and Chordophony has me thinking about Giovanni Gabrieli and things Venetian. Venice is on my mind a lot these days. 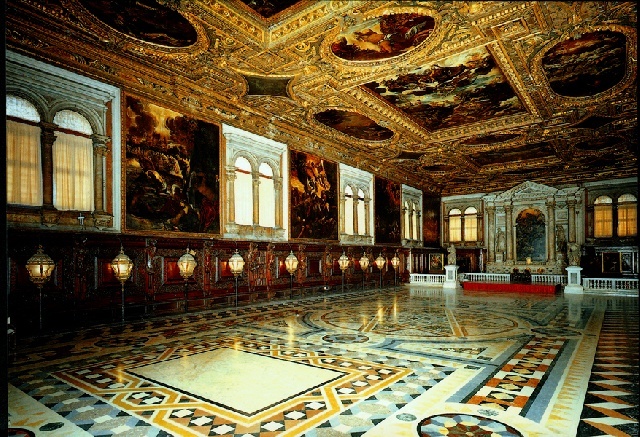 Much of my listening has been Venetian music. I’m writing a story about Monteverdi’s Vespro della beata Vergine and have been sampling lots of recordings of the work. I’m not suggesting the Vespers were written for San Marco – the genesis of the Vespers is a story unto itself and you’ll have to read my article to get the scoop on that – but Monteverdi and Venice are certainly bound together. 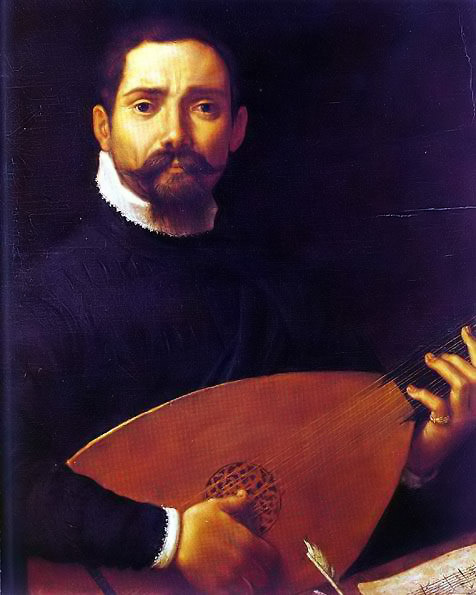 Another composer who is synonymous with Venice is Giovanni Gabrieli (b. c.1554-7; d. 1612). 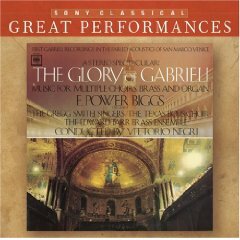 I grew up with two recordings of Gabrieli’s music: The Glory of Gabrieli had the Edward Tarr Brass Ensemble, Gregg Smith Singers and organist E. Power Biggs in a program of canzoni and motets that were actually recorded in San Marco in Venice. 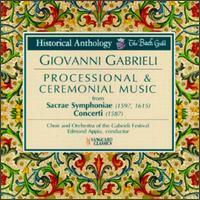 My other “go-to” Gabrieli record was Processional and Ceremonial Music with the Choir and Orchestra of the Gabrieli Festival under the direction of Edmond Appia. The LP was available on the old Bach Guild of Vanguard Classics, it cost $2.99 and I played it until the groves wore out. 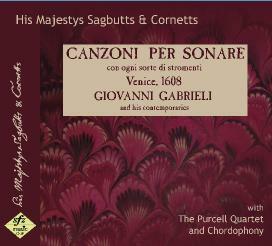 This new recording of music from Canzoni per sonare con ogni sorte di stromenti (a 1608 publication by Alessandro Raverii), which features works by Gabrieli and his contemporaries, excites me the same way. Raverii was a crafty publisher, and in its day the collection appealed to a broad spectrum of musicians because of the “ogni sorte di stromenti” (all kinds of instruments) tag. The collection contained 36 canzonas by 12 composers, and all the composers are represented on the recording. These include a good cross-section of respected and recently deceased (in 1608) elders (Claudio Merulo, Luzzasco Luzzaschi and Florentio Maschera), a sampling of respected contemporaries (Gabrieli and Gioseffo Guami) and a taste of the interesting youngsters (Girolamo Frescobaldi, Pietro Lappi and Orindio Bartolini). 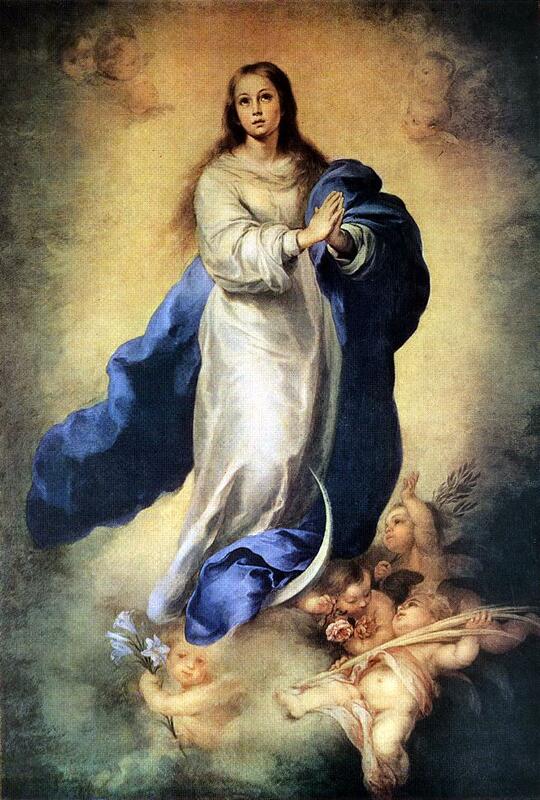 Many of the Gabrieli pieces are well-known but the HMSC play them with a freshness and vitality that make such old favorites as the Canzon Prima ‘La Spiritata’ à 4 and Canzon Seconda à 4 really open your ears and remind you of how damned good Gabrieli was. The lesser-known works are great finds too. I never heard much of Lappi but the peppery Canzon Undecima ‘La Scrasina’ à 4 played by the Purcell Quartet and elegant Canzon Vigesimaesta ‘La Negrona’ à 4 played by Chordophony, (a lute quartet) are keepers. The mix of instrumental combinations makes the recording very appealing. Instead of listening to 20+ pieces scored for sagbutts and cornetts in a row, there are works for strings, lutes and an occasional keyboard tossed into the mix. Like I said, HMSC are outstanding throughout. They are one of the preeminent ensembles playing this music and it’s nice to hear them stretch out on this album. New Yorkers take note. His Majestys Sagbutts & Cornetts will be performing with the Saint Thomas Choir of Men and Boys on March 19th. The program? Monteverdi’s Vespro della beata Vergine.